America has become a food danger zone because of the rampant use of GMOs. The rest of the world is banning the use of GMOs. So what is it that WE are NOT being told? 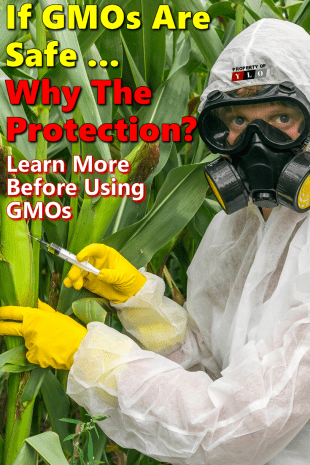 GMO stands for “genetically modified organism”, which is a new organism, not found in nature, created by scientists when they genetically modify or engineer food plants. The true GMO meaning is profits. Welcome to Commercial Agriculture. Soy, corn, cotton, sugar beets, and alfalfa. Consider how many foods you eat that contain these crops. 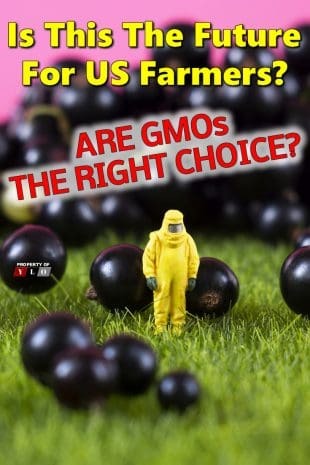 Farmers spray the crops, killing the weeds while keeping the “GMO Roundup Ready’ crops safe. Your safety isn’t their problem. The current technology of Genetically Modified foods is based on obsolete information and theory and is prone to dangerous side effects. This has made our country a food danger zone. Economic interests have pushed it onto the market too soon. When it comes to feeding ourselves, ensuring the food we choose and consume is healthy, organic, and free of dangerous ingredients can be more difficult than we think. This risk is particularly high for American shoppers. Even when doing health-conscious shopping for fresh produce, you face the problem of being exposed to Genetically Modified Foods every day. We typically assume that eating fruits and vegetables is the healthy choice, but the introduction of GMOs has introduced new health concerns. These GMOs are more popular in the United States than in any other area of the world. The US is a world leader in pushing for GMO acceptance globally. Genetically Modified Foods are foods made from organisms that have changes introduced into their DNA through genetic engineering. Though this might sound like science fiction, the truth is that you have undoubtedly consumed GMOs, much more often than you think. The process of genetically modifying foods is intended to make crops heartier, drought-tolerant, and more lucrative than their original composition allows for. 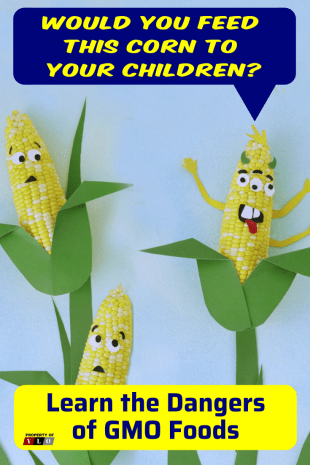 Though there has been a lot of praise given for GMOs, the truth is that consuming genetically modified foods comes with a lot of risk to our health, in the long- and short-term. Genetically modified foods were introduced to the United States very quietly in the early 1990s. Producers and consumers accepted the introduction of these foods after the Food and Drug Administration (FDA) deemed genetically modified organisms to be safe for consumption in 1992. However, as more becomes known about GMOs and their long-term impact, the decisions made by the FDA have been called into question. While publicly, the FDA declared no risk, the investigation has shown that many FDA scientists warned of many potential health risks from eating these foods. Their list includes the development of allergies, digestive problems, and nutritional issues. It is also a fact that many of the corporate organizations that benefit most from GMO production have pushed for their acceptance. They have heavily influenced organizations like the FDA to ensure that GMOs could be produced and sold in the United States. These corporations are the reason we are living in a food danger zone in America. Concerned scientists, nutritionists, and environmentalists have called on the government to insist upon more safety studies to be done on GMOs. They want to assess short and long-term risks to the individual’s health and the larger environment. However, most of the largest and most cited studies on GMOs have been funded by the very industry stakeholders involved in the GMOs. This is calling the results and conclusions into question. The majority of the testing and monitoring of the health impacts of GMOs does not delve into the true impact of these foods on our health. Which is leaving the real consequences a true mystery. Scientists and citizens across the globe have criticized the FDA for their refusal to protect Americans from these unsafe foods. The FDA does not seem to be doing anything to reverse the detrimental effects of the food danger zone. GMOs are created when existing organisms are modified on a genetic level by introducing changes to their DNA structure. This is done selectively by scientists to encourage the traits they most desire from the plant. For example, encouraging them to grow larger or faster, bear more fruit, or develop other desired growing traits. These genetic tweaks are made in laboratories using insertion techniques or bacteria to make the changes. The result is a new plant species with new characteristics. In nature, organisms tend to develop over time, taking in small, selective, and gradual changes to their overall structure. The process undertaken when creating GMOs has no relation at all to the natural process of evolution. The imprecise changes made to plant cell structure without regard for other consequences creates many risks for the environment and consumers. When scientists alter the genes of a specific organism, they are usually hoping for a very specific trait to be expressed. But, the way DNA works and interacts is very complicated. There can be drastic, unintended consequences when producing a GMO. The result of a change in one part of a plant’s DNA could result in very unexpected damaging effects. Meaning change in other parts of the structure and the expression of very damaging traits in the plant over time. Though scientists may have intended only to create a larger plant, the long-term impact could result in creating allergies, and auto-immune issues in consumers. You may not have thought much about GMOs, but the truth is, a shockingly high percentage of what North America consumes is the result of a GMO. It is estimated that 92% of corn, 94% of soybeans, 94% of cotton, and a whopping 98% of canola oil in North America is genetically modified. This is why America is becoming a food danger zone. These staple foods are included in a lot of American favorites. 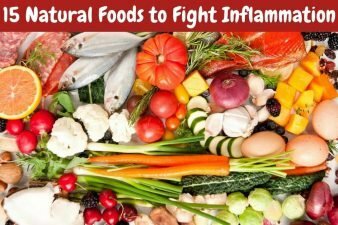 This means most of the population is ingesting these dangerous foods regularly. Other foods, even foods that conscious cooks rely on to be healthy and organic, have become more and more modified since the 1990s. Zucchini, berries, sweet corn, carrots, and even papaya have all been substantially modified over time. Allergies, food sensitivities, and auto-immune disorders have been an increasing concern since the early 1990s, with more children expressing these allergies, and more adults developing these difficulties throughout the course of their lifetimes. Many believe that this rise in allergic response is directly related to the unnatural GMO foods that have been introduced into our diets. Another reason why America is becoming a food danger zone. • Similar allergy impacts have been linked to genetically-modified corn and cotton. In fact, some reports of allergic reaction from handling pesticide sprays have also been noted. One particularly frightening element of GMOs is that it is impossible to test for allergies to an organism that has been altered on a genetic level. Current food allergy tests (usually done by scratch tests) are designed and based on the allergens commonly found within natural foods that people tend to eat. Because GMOs have a different genetic makeup, and the potential to harbor and contain new and unforeseen allergens, GMOs fail at allergy testing, making serious problems for those who suffer from a reaction. One of the most frightening impacts of Genetically Modified Foods is that they can go beyond creating allergic responses to GMOs and make you allergic to other foods as well. Long-term exposure to genetically modified foods can impact your stomach and make you sensitive to a wide variety of related foods. • Lab mice and rats have been observed to have significant liver damage after exposure to GMOs, with atrophy and small-sized livers. Rats have also been observed with stomach lining issues, attributed to rapid cell growth. Unlike safety protocols for drug trials, new foods can be introduced to the global population without very many tests for safety. This is particularly dangerous for the next generation, since the food we eat interacts with our bodies, impacting them for years to come. Even if we eliminated all GMO foods today, their genes would be present in the bodies of humans (and animals) for generations to come. We cannot afford to allow corporations to increase their bottom lines while exiling American citizens to a food danger zone any longer. 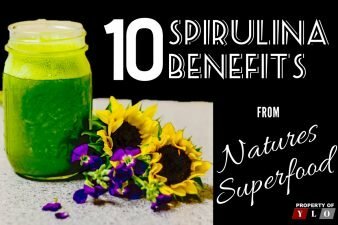 • There is concern about the long-term impact on human gut-health since we are consuming plant matter that is grown to be antibiotic. This can wreak havoc on our ability to digest. • DNA stays within our bodies for years, and can even be passed down through generations. • In the 1980s, the United States faced a contamination disaster. 100 Americans were killed after accidental exposure to L-Tryptophan, and almost 10,000 more were made sick. This disease, though widespread, was very difficult to identify, and find a cause for, mainly because of the insidious nature of GMO issues. The L-Tryptophan disaster did little to teach American scientists about the dangers of GMOs, but perfectly illustrates the risks of consuming and encouraging these crops. 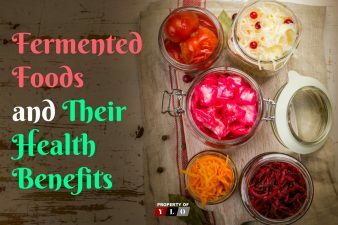 Because genetically modified foods are becoming more common, and make up such a large part of the American diet, we are left in a dangerous situation where the diseases and reactions caused by these foods may not be identified for years, if at all. Many of the difficult to identify, treat, and diagnose problems that people face today will only be worsened. It can be very difficult to avoid GMOs without a little research. However, you can find out more about selecting healthy, organic and unmodified foods. To find out which products have qualified, visit this free site Non GMO Shopping Guide or download the iPhone app ShopNoGMO. Let us know if you have no problem eating GMO Foods or if you are trying to go completely organic. Also, do you want truthful and complete labeling of foods so you can make your own choices? Our readers all are looking for information on what others are thinking.